The complete mitochondrial genome was obtained from a microchiropteran bat, Artibeus jamaicensis. The presumptive amino acid sequence for the protein-coding genes was compared with predicted amino acid sequences from several representatives of other mammalian orders. Data were analyzed using maximum parsimony, maximum likelihood, and neighbor joining. All analyses placed bats as the sister group of carnivores, perissodactyls, artiodactyls, and cetaceans (e.g., 100% bootstrap value with both maximum parsimony and neighbor joining). The data strongly support a new hypothesis about the origin of bats, specifically a bat/ferungulate grouping. None of the analyses supported the superorder Archonta (bats, flying lemurs, primates, and tree shrews). 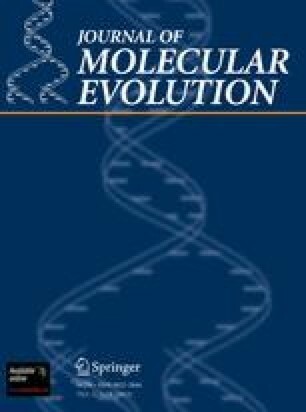 Our hypothesis regarding the relationship of bats to other eutherian mammals is concordant with previous molecular studies and contrasts with hypotheses based solely on morphological criteria and an incomplete fossil record. The A. jamaicensis mitochondrial DNA control region has a complex pattern of tandem repeats that differs from previously reported chiropteran control regions.